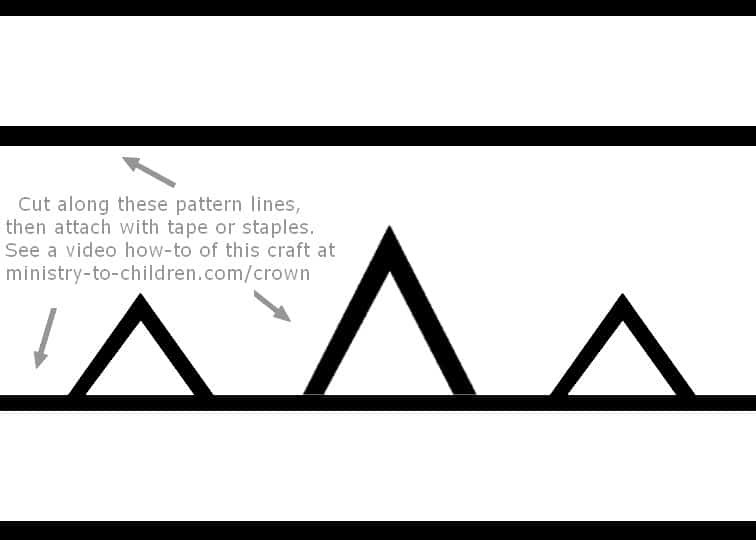 Try this easy paper crown craft project for kids. All you will need is the template below, card stock printing paper, coloring markers, child-friendly scissors, and a stapler. 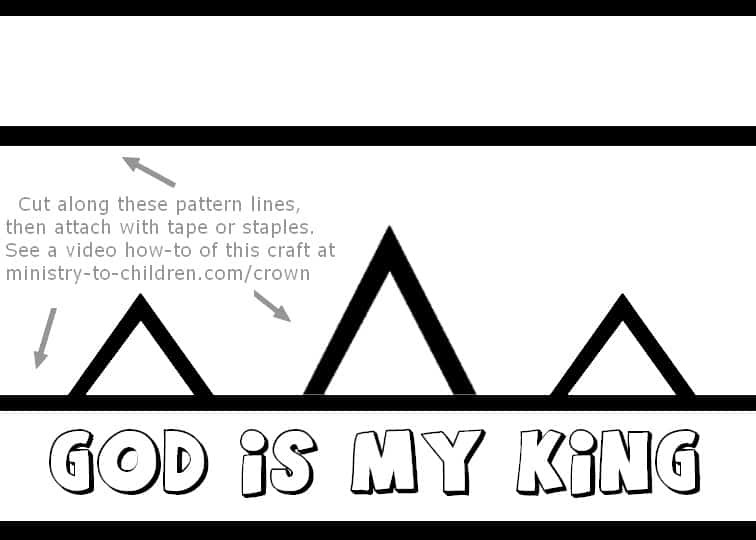 We used this cut-out crown in our Wednesday night children’s ministry. It would also be useful as a Sunday School or VBS craft. Leave a comment share how you used this project or make suggestions for other readers. Directions: Right-click on the following files to download either the printable pdf or higher resolution jpeg for advanced editing. We’ve included a version with no words to make the project template more flexible. We first used this craft as part of the Go Fish “Kickin It Old School” VBS. Click here to learn more about that program. After testing this craft in our children’s ministry, I learned that you will need extra paper strips for most of the children. 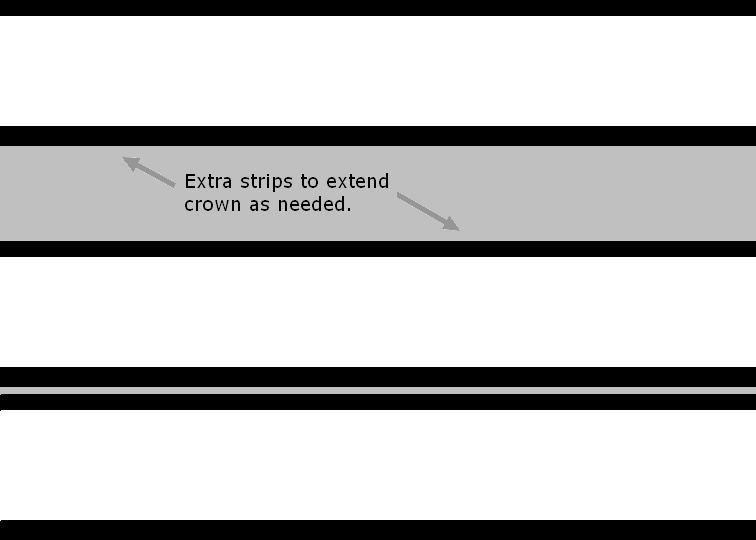 So be sure to print out the extra crown strips template above and have them on-hand. This activity worked well with younger children. The preschoolers also enjoyed it but we had the class leaders precut their template to remove scissors from the project. You should have a backup supply of staplers for this project in case of jamming. Most children will need help from the workers to staple the project together. If you are short on volunteers, I would suggest using tape instead of staples. For an easy variation, you could use construction paper or different color card stock. Then you can have the kids decorate their project with stickers or foam craft pieces. This Lesson was Very helpful, it was easy follow. Thank you for allowing to download a free lessons. Wonderful Lesson, thank you so much. I particularly am appreciative that I wasn’t charged for the downloads. Thank you for helping me give my class a lesson about our Messiah!